Sand Bag Marker formed part of a series of proposals to build a sandbag memorial to ruined archaeology at Camp Pendleton, California, home base of the US Marines, as a reversal of the process that occurred in Babylon, Iraq. 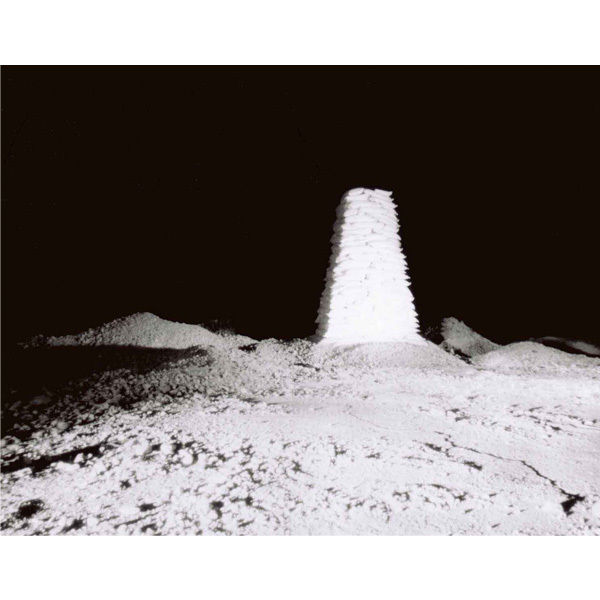 The photograph “Sand Bag Marker” was inspired by an event in 2003 when military forces occupied the ancient site of Babylon as a major camp. In the course of the occupation US Marines, civilian contractors and Polish forces damaged the archaeology at the site and at nearby Etemanaki (the ziggurat), by building fortifications using sandbags filled with archaeological remains. The site was eventually designated as a World Heritage site. This photograph is one of a group of works by Michael Sanders, winner of the OPEM 2011 Purchase Prize. Lincolnshire based Sculptor and Photographer Michael Sanders studied 3-Dimension Design at Manchester Polytechnic. He has exhibited his work both in Britain and America. He has a passion for military archaeology and its impact on landscapes in Lincolnshire and beyond. His work extracts multiple meanings from these abandoned sites.